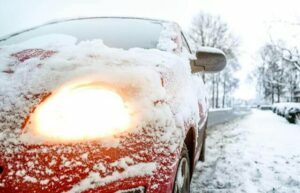 Driving can be one of the most hazardous activities you regularly undertake, however, in winter when temperatures drop and there’s ice or snow on the roads, or if there is reduced visibility because of limited day light, heavy rain or fog, the risk of accidents increases. Our guide provides key winter work-related driving tips to help you and your employees to stay safe this winter. According to the latest figures by the Department for Transport for the period July 2017 to June 2018, they reported 1,770 reported road deaths, 26,610 people were killed or seriously injured and there were 165,100 casualties of all severities. To ensure your vehicle is safe, it is essential to complete effective vehicle checks throughout the year especially in the winter months. To help you with this task, below are some tips to help you ensure your vehicle is prepared for any adverse weather conditions. Tyres – It’s important to regularly check your tyre pressure and check your tyres have sufficient tread including the spare tyre. Battery – Take your vehicle into a garage to have its battery tested to make sure the battery is fully charged. Oil – Check your vehicle’s oil levels and top it up if it’s low. Screen Wash – Make sure your screen wash is topped up and is of a high enough concentration so that it won’t freeze. Wipers – Check your windscreen wiper blades and replace them if damaged. Fuel – Ensure your vehicle has plenty of fuel so you can run it to keep warm if you get stuck in snow. Radiator – Ensure your radiator is topped up with anti-freeze. Brakes and brake lights – Check that your vehicle’s brakes and brake lights are working effectively. Lights – Check that all lights are working correctly including indicators and fog lights. Employees who drive as part of their job role. Employees who are travelling to offices which are not their usual place of work. Anyone else who may be affected by the work activity i.e other road users. The employer’s duty of care still applies even if the employee is driving their own vehicle or using a hire vehicle. 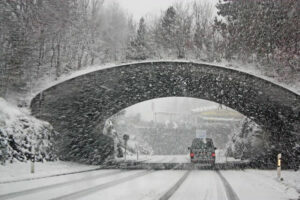 Policies which cover work-related driving and winter conditions. Work-related driving Risk Assessments which cover adverse weather condition hazards. The HSE have produced a guidance document which includes information about the ‘Plan, Do, Check, Act’ approach that employers should take to manage work-related road safety effectively in their organisations. Through our online portal Wirehouse clients can access driving Risk Assessment templates bespoke to many different industries, as well as vehicle inspection checklist templates and driving tool box talks. For more information about what a winter work-related driving policy should cover or for assistance with carrying out driving Risk Assessments, please contact our Wirehouse Health and Safety Consultants.